Published: May 7, 2014 at 12:14 p.m. 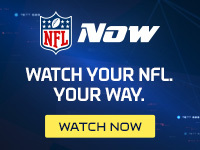 Updated: May 7, 2014 at 08:19 p.m.
New Orleans Saints general manager Mickey Loomis said Wednesday that he had "nothing to report" on long-term extension talks with tight end Jimmy Graham. One big reason: They are waiting to confirm whether he's really a tight end or not. The NFL Players Association filed a grievance on behalf of Graham Wednesday, according to NFL Media Insider Ian Rapoport. USA Today first reported the story. The expected move was a long time coming, but it's the next necessary step in Graham's contract process. By waiting until this week to file the grievance, the decision will get maximum attention. The Saints placed the franchise tag on Graham back in February, with the franchise number for tight ends being $7.035 million. Graham has not signed his one-year tender offer, and the NFLPA is going to make the case that Graham should be counted as a wide receiver because so many of his snaps happen away from the line of scrimmage. The wide receiver franchise tag number is $12.3 million. We believe it's a longshot that Graham will win this grievance, but there is some historical precedent for compromise. Terrell Suggs argued in 2008 that he should be counted as a defensive end, not a linebacker. An arbitrator wound up bumping up Suggs' salary. Graham has a tougher case to make, and there is more money at stake here. We wouldn't be surprised if the Saints and Graham compromise on a long-term contract before the grievance is even settled.